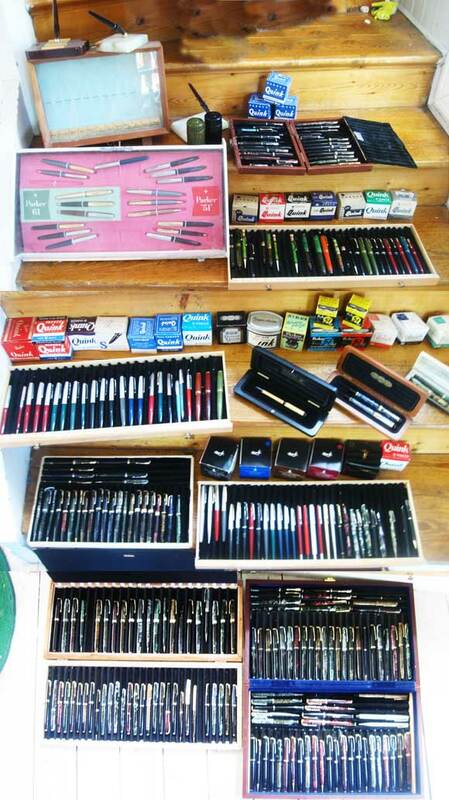 have been collecting pens and ephemera since the 1980's and when I started working with the web I designed my first web site about pen collecting in 1995. It had an Angelfire address but has sadly been lost. It was called Hot Fountain pens (the flames still on this site was featured on that site). 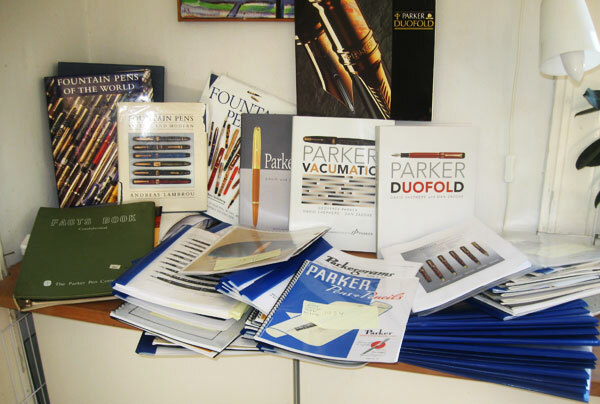 Later I changed the name to parkerpens.net, but since every other e-mail I get is ment for the official Parker pens I decided to change it to Parkercollector.com. 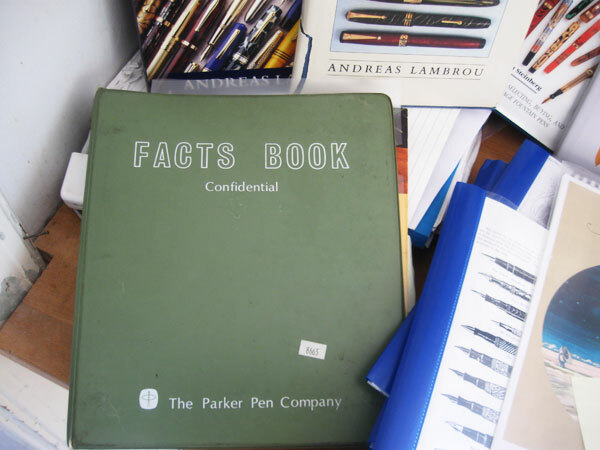 ome people have been writing angry letters when they have been unable to find information regarding their specific model of pen (sometimes not even Parker) well I decided to try to pinpoint most, if not all, of the pens Made by Parker. I didn't realise what an immense undertaking this was to be. Yes, I run this site totally without help. I do the research, the writing, most of the photography, the web design and coding — and oh, I pay for it too. Some of the research material i have collected. ell I am a journalist and designer by profession so research and writing comes kind of natural to me, but since I'm also Swedish I'm sure my English irritates people. f course it stands to reason that I simply would not have been able to manage this vast research without leaning hard on all the great people that have gone before me. Acknowledgements. he third leg of my pen collecting is (besides collecting and writing about pens) to do my own repairs. I was very fortunate to be able to learn from the best repairer i Scandinavia, Gunnar Hülphers, who has been doing thousands and thousands of repairs for 40 years and he's still active. ver the years I have collected some spare parts, but it seems it's never enough (so if You care to share, please let me know :-) I have made many of my tools myself but my most priced tool is a vintage Vacumatic fitting block that Martin Smith at Woodbin.ca agreed to sell to me. 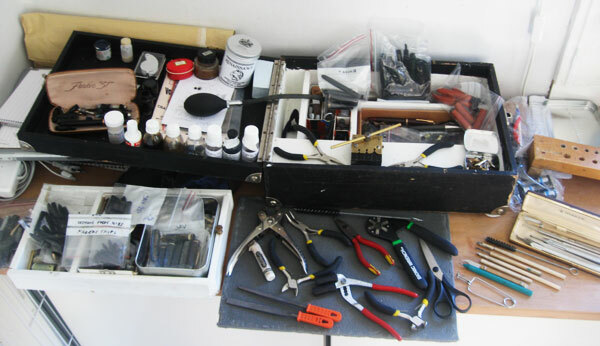 and some home made tools that I use all the time. My tool chest is an old grammophone box, and yes, it all fits in there! ood hunting out there, and If You ever come to Sweden, please don't hesitate to look me up! My Parker collection, mostly Vacumatics.